The EIOC features 16 analog inputs and 8 digital outputs. 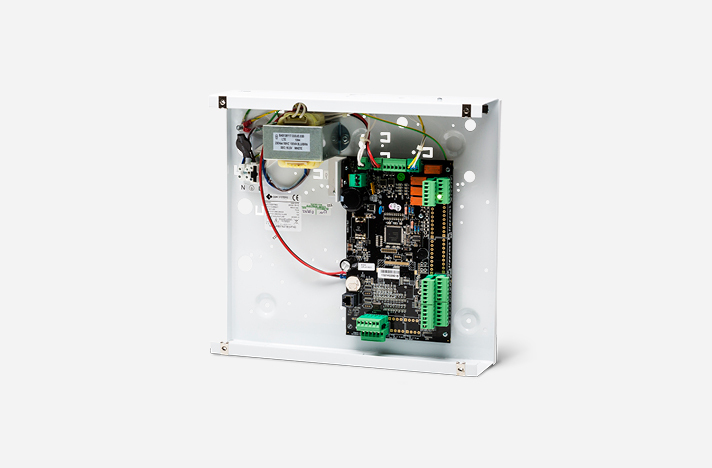 The outputs can be used to control solid-state relays, which in turn can control all kinds of equipment including Intruder panels, PIR detectors, or switching on/off heating and lighting. Additionally inputs on the EIOC can be used to activate a Broadcast Zone on the AC2000 system which can be configured to activate an output on a different EIOC or CEM reader located anywhere on the network.